This is often overstated. With an S-Corp, income still flows through to individual income tax returns and has the same tax implications as a sole proprietorship; and the same deductions are available for business expenses with either structure. Some tax preparers will tout tax savings that are achieved illegally, essentially taking some pay as dividends or distributions rather than earnings, allowing the taxpayer to “save on self-employment taxes.” The problem is that for an individual running a business, this structure is generally illegal since the income is earned income, not dividends from investment. So the tax savings is not legitimate. In addition, corporations require arduous paperwork, including corporate meetings and minutes, along with additional fees to the CA Franchise Tax Board ($800 per year) and additional tax preparation/legal fees. This is usually unnecessary via incorporating, depending on the business type. Business owners can often achieve the same protection by way of acquiring business insurance, and for a much lower cost. It would be prudent to speak with an insurance agent to inquire about business insurance options. Remember, even with a corporation, owners of the corporation can still have individual liability despite the corporate "umbrella". For example, if a corporation owner drives under the influence and kills a pedestrian, the corporate "umbrella" will not protect that individual from legal ramifications. Ultimately, there's still a personal liability element even when a corporation is present. This is usually unnecessary with a “one-person shop”, since incorporating isn’t needed in order to manage the different ownership shares of partners, shareholders, etc. 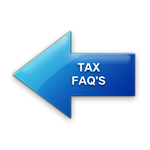 We recommend speaking with a qualified tax attorney for more information on incorporating. Contact us if you’d like an introduction...we’d be happy to help!